Nigeria, North Korea and Afghanistan are among the leading countries in the world where Christians were most persecuted in 2018. 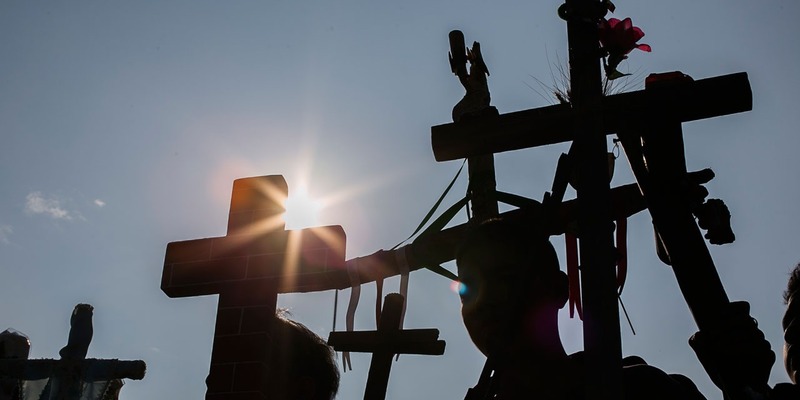 More than 4,300 Christians were killed in the world in 2018, the vast majority in Nigeria, "because of their faith", a number sharply rising, for the sixth year in a row, according to the NGO Doors Open. The number of Christians killed rose from 3,066 to 4,305 between November 2017 and October 2018, a rise of 40%, says the Protestant organization which publishes Wednesday its 2019 index of 50 countries where "Christians are the most persecuted". 1 in 9 Christians persecuted. Thus, 90% of Christians killed in 2018 in the world were in Nigeria (3,731 deaths on Nigerian soil, against 2,000 in 2017). In this country, "Christians face a double threat," the jihadist group Boko Haram and Fulani herders, notes the NGO. A total of 245 million Christians - Catholics, Orthodox, Protestants, Baptists, Evangelicals, Pentecostals, Christian expats, converts - are persecuted, or "1 Christian out of 9", against 1 out of 12 last year, adds the organization. "In 2018 it continues". This means by "persecution" both the violence committed but also a daily oppression more discreet. "The index reveals a persecution against the Christian minorities which increases from year to year.In 2018 it continues", wrote, in the preamble of this text, Michel Varton, director of Doors open. In a year, "the number of targeted churches (closed, attacked, damaged, burned ... ed ) almost doubled from 793 to 1,847". "The number of Christian detainees goes from 1.905 to 3.150" in the same period. Sad ranking. North Korea is again, as in previous years, at the top of this annual ranking, although it is not possible to know, in the absence of "reliable data", the number of deaths in this country. The NGO reports that "tens of thousands of Christians (y) are locked up in forced labor camps". Afghanistan, Somalia, Libya, Pakistan, Sudan, Eritrea, Yemen, Iran, India, Syria follow. Figures "below reality". Open Doors, partner of Open Doors International (which operates in 60 countries), warns that its figures, which only concern assassinations "proven certain" on the basis of information cross-referenced from the field, the press and 'internet, are' below reality '. This association, which "provides spiritual, moral and humanitarian support" to persecuted Christians, has existed in France since 1976.